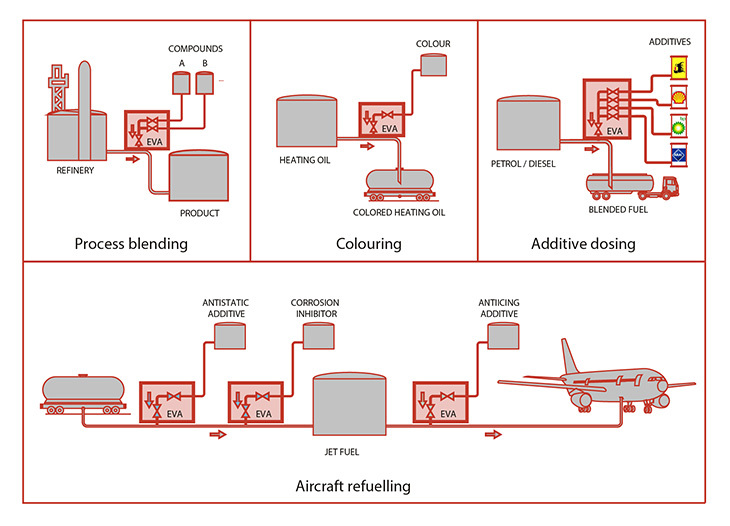 Light fuels (petrol, diesel, jet fuel or heating oil) are often colored or dosed with additives which improve their characteristics (engine cleaning, decarbonisation, fuel lubrication, combustion, stabilised features, cold flow, etc.). Additive dosing is also used by multinational oil companies to distinguish one from the others using various fuel additives. Some typical applications are shown on the diagram below. EVA is connected to the loading line and injects the chosen additive according to the given rate. 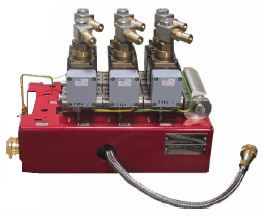 The amount of the additive is dynamically controlled according to the product flow, which is measured with a flow meter or with a scale using pulse output. 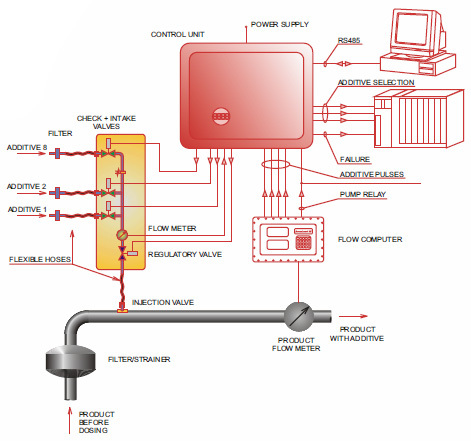 However, better accuracy and additional functions are reached using flow computers which include specific procedures for additive or color dosing like additive selection, overdue start of dosing, previous end of dosing etc. The injection of additive through a special injection valve ensures optimum mixing of additive in fuel.